Shropgeek organises events for the web / tech / creative industries in Shropshire and further afield. We host a wide range of events including monthly social events, evenings of talks and an annual web design conference. After an extended break, the ShropGeek social is back! We’re changing things a little bit though with both a new time and a new venue! We have a new time of 6pm – 9pm so that you can pop along and join us for a drink after work, or come along later if you prefer. 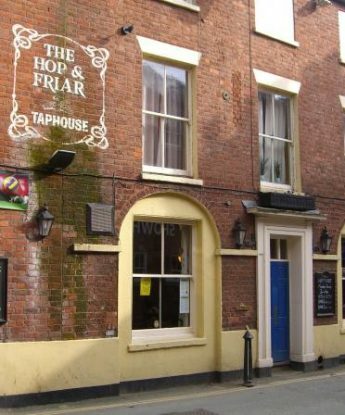 We’ve also moved to The Hop & Friar for this meetup. It has a beer garden, accessible access and a great range of both alcoholic and non-alcoholic drinks. We don’t have a specific room booked as we plan to keep this as informal as possible, but there will be a sign on the table we are sitting at (either inside or out, weather permitting), so if you’re new or just unsure you will be able to find us. So why not come along and join us for a relaxed evening with some like minded folk? It promises to be a great evening!